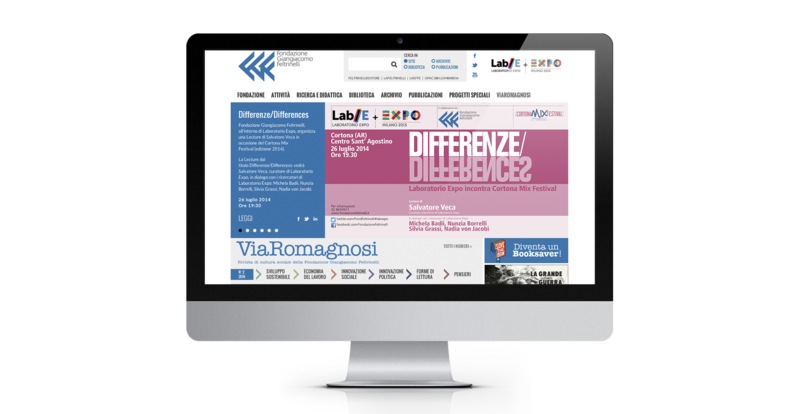 The repositioning of the Foundation in the digital sector, in line with its activities and cultural events, expanding its target and addressing the general public as well as the academic and scientific one. 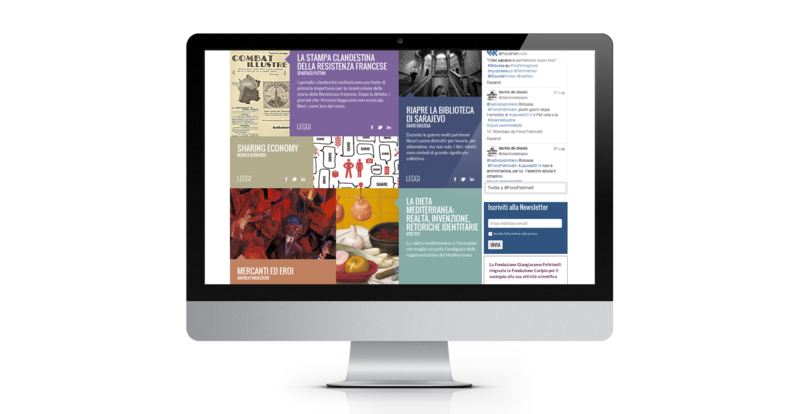 We created a new portal with an attractive and engaging graphical interface, which is focused on a clear and intuitive navigation that simplifies the online consultation of bibliographic materials. 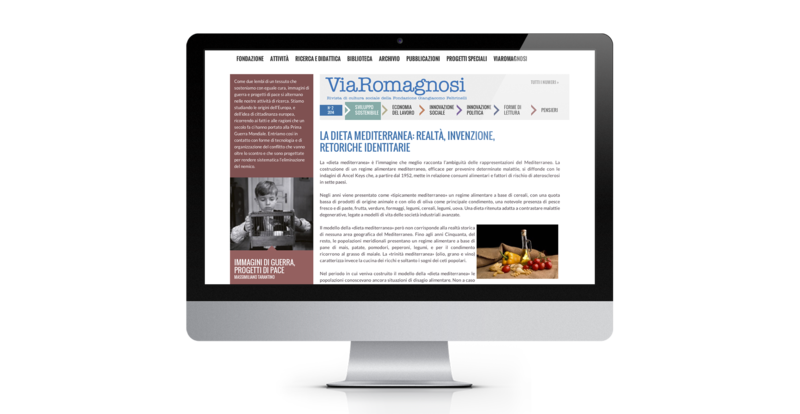 “ViaRomagnosi” is the editorial spirit of the site, a digital magazine of cultural study, used as a tool that enables new offline activities of the Feltrinelli Foundation as “Laboratory Expo” and “World War I”.